There is mounting evidence that oil prices are poised to rebound from a historic bust. Rig counts hit new lows each week. For the week ending on April 17, Baker Hughes says the U.S. lost an additional 34 oil and gas rigs, bringing the total down to 954. Domestic crude oil production appears to have plateaued and the EIA expects a contraction in May. Nearly every driller is dramatically scaling back spending, which should increasingly cut into new output. And oil consumption is finally picking up, as drivers far and wide take advantage of cheap fuel. But what if the bust is not over yet? Despite the signs of a rebound, Exxon Mobil (XOM) CEO Rex Tillerson has a much more bearish take on oil prices. Speaking at the IHS CeraWeek conference in Houston, Tillerson predicted that oil prices would remain subdued for the next several years. What's ahead: While the longer-term is harder to predict, there is quite a bit of evidence to suggest that oil prices may not rise much higher than where they are right now in the short-term. For one, crude oil inventories continue to build. Although the stock build has slowed in recent weeks, it is still dramatically higher than the five-year average. Until production slows to the point that consumers are drawing down inventories faster than they can be replaced, oil prices have little room to rise. Another significant factor that could limit any further increases in oil prices is the enormous backlog of wells awaiting completion. Since most of the value of oil and gas coming out of shale occurs in the first few months of production, drillers are avoiding completing hundreds of wells because selling into the current low-price environment would earn them a lot less cash than if they wait until prices rise again. As a result, there is a vast collection of shale wells that will be completed once oil prices increase (an estimated 900 in North Dakota alone), which could bring a flood of new production online. The effect on prices is debatable, but the CEO of ConocoPhillips (COP) thinks it could send oil prices down once again. "If you get a price signal, you'll see more supply come on," ConocoPhillips Ryan Lance said at CeraWeek. "That certainly has the opportunity to exacerbate the problem depending on where demand is." He went on to add, "If $80-$90 [per barrel] comes back, there's a good chance that $50-$60 comes back as well because of all the new oil that will come online from completed wells. Boom, bust, boom, bust." Related: What Happens To US Shale When The Easy Money Runs Out? The global factors: Moreover, the industry is seeing substantial declines in costs for drilling. When oil prices are high, costs to drill rise as demand for equipment, rigs, and other oil field services increases. But, just as high oil prices can be inflationary on costs, an oil bust has a corresponding deflationary effect on costs. As companies like Halliburton (HAL), Schlumberger (SLB), Baker Hughes (BHI), Transocean (RIG), and others are finding out, service companies are being forced to slash their prices for drilling services amid collapsing demand for drilling. Upstream producers stand to benefit in the meantime. In other words, low oil prices allow for costs to decline, which allows more companies to stay business. As a result, oil prices tend to stay lower, longer. Finally, there is the issue of OPEC. Saudi Arabia is now producing oil at the highest level in decades, in an effort to keep the heat on higher cost producers. Elevated production from OPEC probably won't change anytime soon. Worse yet for oil prices, is the potential for Iranian crude to come to global markets. If a nuclear deal can be finalized, Iran could step up production in 2016, adding more supplies to an already well-supplied marketplace. Bottom line: Obviously, there is a ton of uncertainty. Oil markets are already starting to adjust with the pending production cutbacks from U.S. shale. That could lead to higher prices. But facing headwinds, it may not be enough to raise prices any further, increasing the possibility of an extended down period for oil. For smaller companies, that could be devastating. But the majors view this is a normal a business cycle. 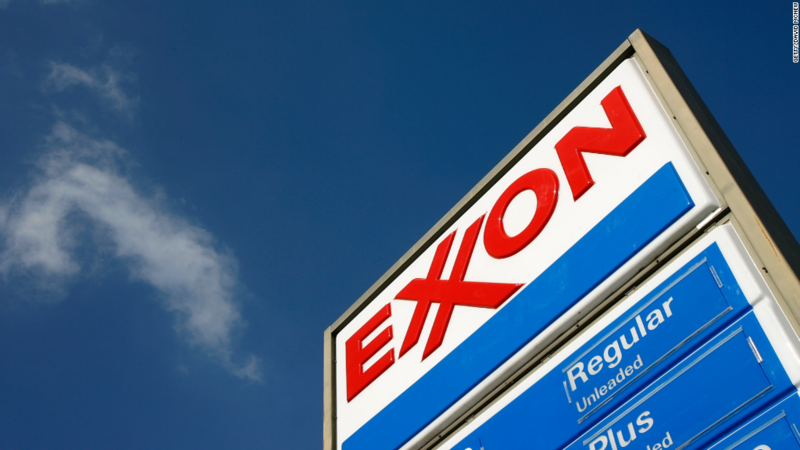 When asked what the energy industry would look like several years from now after a long stretch of lower prices, ExxonMobil's Tillerson said defiantly, "we will still be here." Nick Cunningham is a Washington DC-based writer on energy and environmental issues for Oilprice.com. You can follow him on twitter at @nickcunningham1.